We stayed at Snehadra Homestay for 3 nights in April 2008. We had a great time in Allepey; the little town is boisterous and charming and the family were very welcoming. It's good to avoid the Lonely Planet's generic suggestions and have a more relacing and authentic Indian experience. The food is fabulous - you must try it! - and you can even have a go in the kitchen. Good bathrooms, spotlessly clean, and a friendly family. Where do I start, Snehadhara was my favorite spot that I stayed in India. Salim, Mini and Nadju were the most gracious of hosts. Their place was very clean, inexpensive and they are truly honest people that really wanted to make our experience enjoyable. They welcomed us into their home and even let us watch them cook and pick their brains on the delicious dishes that we were served. Mini also made accomodations for us to have a seamstress make me a salwar comees? sp out of material that I had previously purchased, and also alterations on a few other items. Make sure to make time for a massage at Snehadhara , the women that gives the massage is a beautiful woman with a very loving touch.There is a fragrant herb garden behind the home that leads you to the massage hut . Ask Salim about it , he will be glad to show you around his lovely garden and tell you all about the interesting herbs. We originally wanted to stay at the Gowri Guesthouse but they were full and so they took us next door to the recently opened Snehadhara. We were pleasantly surprised with this well run guesthouse. Affordable, quiet, CLEAN, and simple. The owners, Salim and Minnie, were perfect hosts and bent over backwards to help us with tailoring, laundering, travel arrangments, etc. They also made us a terrific dinner one night upon request...and let us watch (and ask questions) as they prepared it. The guesthouse is centrally located and is an easy walk on the main street of Alleppey. The guesthouse is set back from the street so you don't get any street noise. Their ayurvedic massage is nice and the steam bath with freshly picked herbs is divine. The owners and their staff is what made this place special for us! Habe eine Nacht im Snehadhara Resort&Home Stay verbracht und kann es wirklich weiter emphehlen. Die Zimmer und das Bad sind sehr sauber und man wird von einer sehr freundlichen Familie bewirtet. Das Essen ist auch sehr Lecker. Wenn man will kann man auch Ayurvedische Massagen erhalten. This home stay has a great family atmosphere. It takes the term home stay literally - you really feel that you are living in the family's home. At breakfast they sit and chat with you whilst introducing you to Karelia style breakfast (in conjunction with the more familiar western style toast and omlette). We stayed in the cheaper 500R room, which has fan only and attached bathroom. It was clean and simple - fine for us on our 2 night stay. For longer I would recommend one of the more expensive rooms which had tvs and ac. With the Lonely Planet as our only reference map we had trouble finding the place, but it is next door to the Gowri Residence which is listed in the LP South India. We got a rickshaw from the centre of town to here for 15R - the driver knew the Gowri as point of reference. we did not book in advance but got a room on arrival. Location is slightly out of the centre but it is a 10 minute stroll into the centre at most. All in all we greatly enjoyed our stay here and I would recommend it to those who want a more personal experience of India, one that you cannot get in a hotel. Am 07. August kam ich durch ,,zufall" hier an und suchte nur mal gerade nach einem Bett fuer eine Nacht. Doch als ich erstmal eingecheckt hatte bekam ich eine ayurvedische Oel-Massage und ein Dampfbad,zu einem regulierten Preis und ein sehr leckeres Abendmahl. Ab diesem Tag veraenderten sich meine Reiseplaene. Am Folgetag wurde ich vom Betreiber zu dem beruehmten Boat-Race eingeladen, was ich mit Spannung verfolgte; Als ich ,,nach Haus" kam war das Abendmahl bereitet und ich wurde behandelt wie ein Koenig.Die Betreiberfamilie ist sehr bemueht jedem Gast den Aufenthalt so reichhaltig wie moeglich zu gestalten und man fuehlt sich voellig integriert. ; manchmal fuehlt sich Salim,der Betreiber, an wie ein Vater ,denn die Gesundheit eines jeden einzelnen Gastes liegt ihm wirklich am Herzen. Informationen ueber Sehenswuerdigkeiten oder aktuelle Events kann man auch hier bekommen. Heute am 11.08. werde ich noch, zusammen mit den anderen Gaesten ,eine Tour mit dem Boot durch die Backwaters und Kanaele unternehmen; das ist auch gleich von hier aus buchbar. Wer ein sauberes , ruhiges, entspanntes, gesundheitlich aufbauendes, freundlich zugewandtes und familiaer wirkendes Holiday Home sucht der kann dies hier finden. I stayed 2 nights in this homestay. 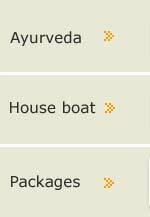 They were of really good advice to book a trip on the backwaters. The rooms are clean. The homestay is peaceful and the family is really lovely ! They cook what you ask for on demand and it s excellent !! I recommand it to everybody !